HOUSTON (CN) — Two Texas Democrats are on the verge of a historic and belated breakthrough in the soon-to-be Latino-majority state. They are frontrunners in their districts, expected to be the first Latina Texans elected to Congress, on Nov. 6. 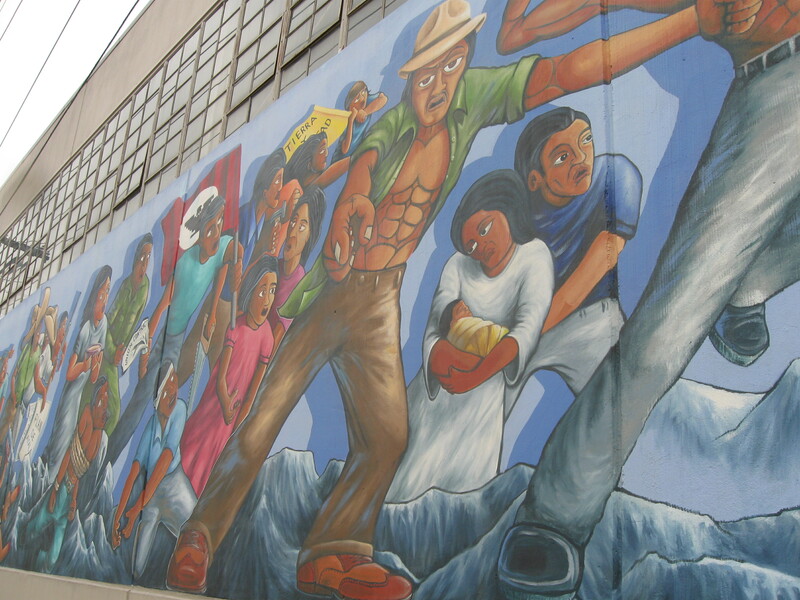 Galleries and museums aren’t necessary in Houston’s Second Ward, known to its residents as Segundo Barrio. 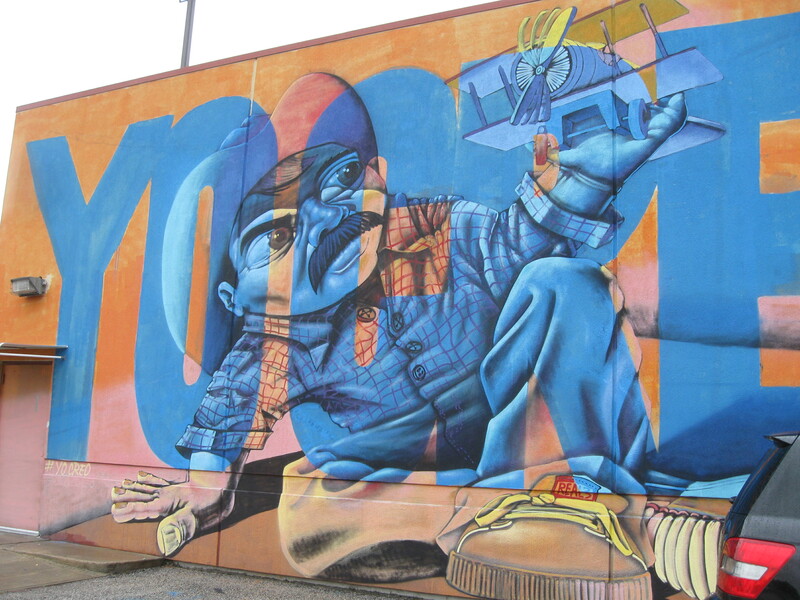 Colorful murals grace storefronts and warehouses on every other block, in contrast to the large desolate lots that pockmark the area, waiting for builders to break ground on $300,000 townhomes. Most of the residents live in modest homes, which they have cordoned off with iron gates and lifted on pier-and-beam foundations; some fear they will be priced out as the new townhomes raise property values and taxes. Sylvia Garcia, 68, is the district’s matriarch. She’s a frequent guest at events at Talento Bilingűe de Houston, a former grocery store converted to a community arts center, with a 270-seat theater. It displays local artists’ paintings and hosts comedy shows and quinceañeras. “Sylvia Garcia, she’s a friend of the East End. You know she has represented us for so long in her different positions. 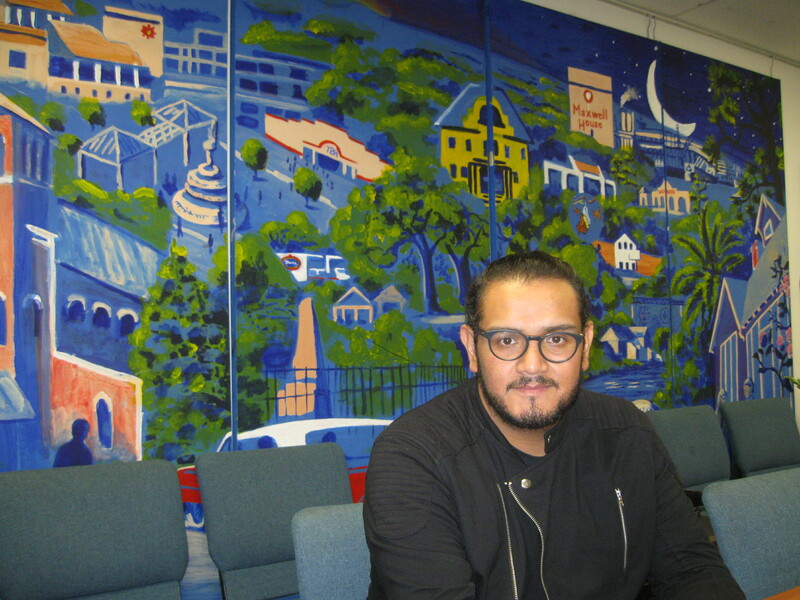 I think she has never forgotten our community,” said Domingo Banda in a meeting room at the community center, where he is helping produce a play about Latino historical figures for elementary school students. Domingo Banda, at the Talento Bilingűe de Houston. Banda has known Garcia since his high school days in the late ‘90s, when she was Houston city controller. He said immigration is a major issue in the district, which is nearly 80 percent Latino, and he is confident Garcia will push for a path to citizenship for the undocumented if she goes to Congress. Garcia wants to overhaul the U.S. Immigration and Customs Enforcement agency. “ICE was really meant to help with enforcement of immigration law. It was never meant to be a paramilitary enforcement function, which is what Trump has made it under his administration,” she told the Houston Chronicle’s editorial board, which endorsed her this month over Republican candidate Phillip Aronoff. Garcia, a licensed attorney and former Houston city judge, has also pioneered in county government. In 2002, she became the first Hispanic elected to Harris County Commissioners Court, the county’s executive board. 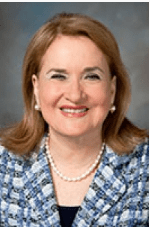 After she lost her county seat in 2010, Garcia was elected to the Texas Senate in 2013, and wrote a bill signed into law in 2017 which targets a scourge in Houston: human trafficking. The bill mandates that truck drivers be trained on how to recognize signs of immigrant transporters and forced prostitution. Houston City Councilwoman Karla Cisneros said she admires Garcia for writing a bill in the state senate in response to the death of 11-year-old Josue Flores, who was stabbed 20 times and killed on his walk home from school in May 2016 in his neighborhood just north of downtown Houston. “I will always appreciate Senator Garcia’s leadership on a bill that provides schools with additional state transportation funding to make sure students in high-crime neighborhoods can safely walk to and from school,” Cisneros said. The law went on the books in 2017. Aronoff criticized Garcia in a September debate for not doing enough to raise the income of the district’s residents over her many years representing them in county and state government, and said that as a political outsider who ran a steel export business with 200 employees, he knows how to create jobs. “My opponent has been in government for a long time and had a lot of responsibility over this district and it’s still the lowest-income district in the state,” he said. Garcia’s campaign manager did not respond to multiple requests to interview her. 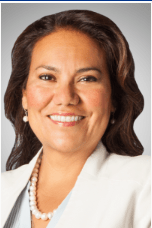 A second trail-breaker, Veronica Escobar, 49, lives in El Paso, 750 miles from Houston on the New Mexico and Mexico border. She is running in Texas 16th Congressional District, the former seat of U.S. Senate candidate Beto O’Rourke. Escobar earned the respect of El Paso County Commissioners Court, leading it as the county judge, its chief executive, from 2011 to 2017. 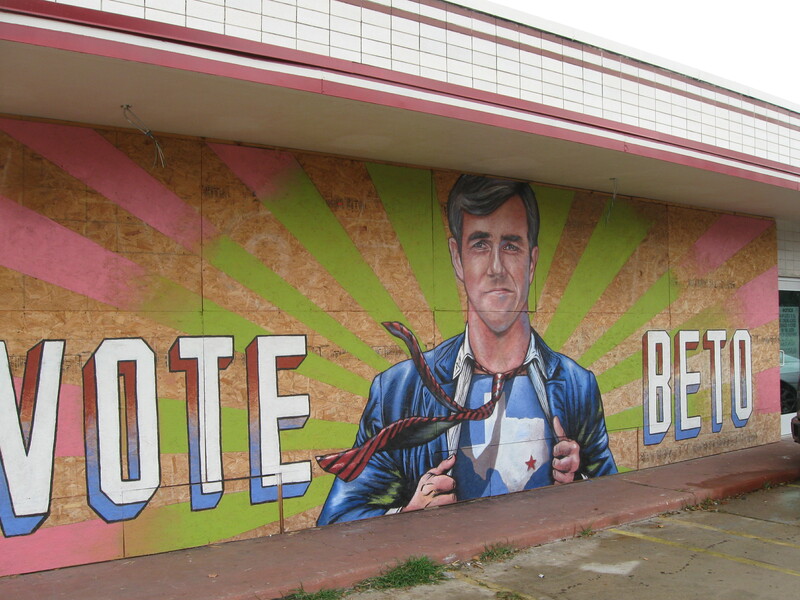 Houston’s East Side is replete with murals, including this one of U.S. Senate candidate Beto O’Rourke. “As a son of a former county judge in El Paso, I can tell you that she is absolutely the best county judge this community has ever had,” O’Rourke said in a statement endorsing Escobar. Carlos Leon was an El Paso policeman for 30 years, and served for five years as the city’s police chief, before retiring in 2003. He said he initially clashed with Escobar after his election to the commissioners court. He voted against Escobar’s initiative to hire a manager, who as a staffer would not be involved in politics, to help run the county, which had been plagued by corruption scandals that sent several of its elected officials to prison. “I voted against it because I thought we were going to establish another office that’s going to take a lot of money. But on that vote I was wrong. … The county administrator was voted in and it’s been a tremendous success,” Leon said in a telephone interview. Under Escobar’s leadership, Leon said, El Paso County Children’s Hospital went from declaring bankruptcy in 2015 to breaking even within three years. “We were on the brink of seeing the hospital close. And instead of having 650 kids leave El Paso for treatment, now they stay here in El Paso,” he said. Escobar has a master’s degree in English literature and taught Chicano literature at the University of Texas at El Paso before entering county government. She faults President Trump for pardoning former Maricopa County Sheriff Joe Arpaio in 2017 after the Arizona sheriff was convicted of contempt of court for defying a court order to stop targeting Latinos. “Trump is sending Latino communities a very clear message with that pardon, and that message is that we don’t matter and that our civil rights and our constitutional rights don’t matter. You know what? They matter to us,” she said at a news conference announcing her candidacy in autumn 2017. Escobar did not respond to a request for an interview. She is running against Republican Rick Seeberger and Independent Ben Mendoza. Demographers predict that Latinos will surpass Anglos as Texas’ most populous racial group in 2020. Cisneros, the city councilwoman, said Garcia and Escobar’s expected elections are long overdue because the state’s Latinos are underrepresented. “These women are trailblazers, opening doors to real change for others in Texas. I am encouraged and optimistic about these two strong role models and am confident they will represent our communities well,” she said.